A ticking-clock thriller following Winston Churchill in the 96 hours before D-Day. Well… I wouldn’t call this a “ticking-clock thriller” as described above. In fact, it is pretty slow and lacks the tension you would normally expect from a thriller. But I still enjoyed this biographical drama of a very interesting person in history. 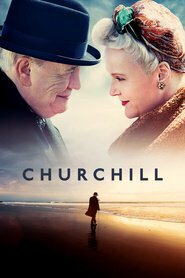 Churchill’s personality was complicated, with a very different “face” in private life compared to public life and is brilliantly portrayed by Brian Cox. If you are interested in history or biography, you’ll probably enjoy this one. Good, old-fashioned film making — despite what the critics say!